On Saturday the 23rd of September 2017, a variety of media and guests were invited to the South African Forza Motorsport 7 launch event. 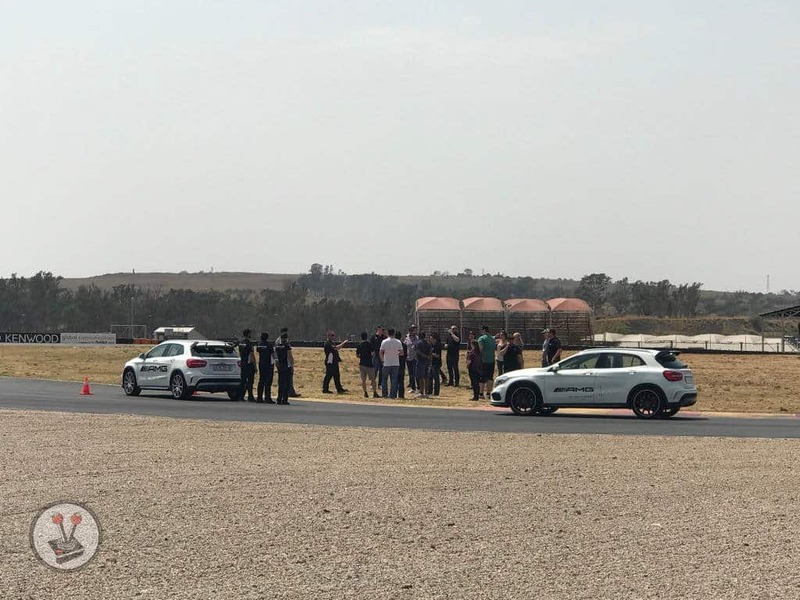 Although guests were informed of the location of the event, the Zwartkops Raceway in Pretoria, no one really knew what to expect. At best, many of us assumed that we would get to see some fantastic race cars. 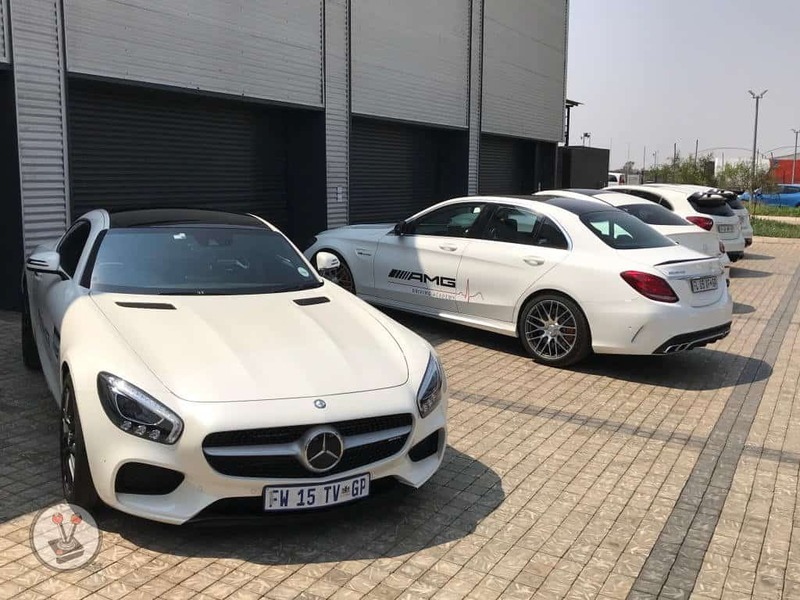 Little did we know, Xbox and Mercedes-Benz South Africa had far more planned than originally anticipated. 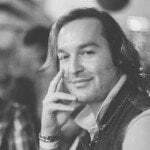 The event kicked off with Joe Kruger, Senior Retail Services Executive for Microsoft South Africa, welcoming us to the event and then introducing us to a gorgeous 4K launch trailer for Forza Motorsport 7. 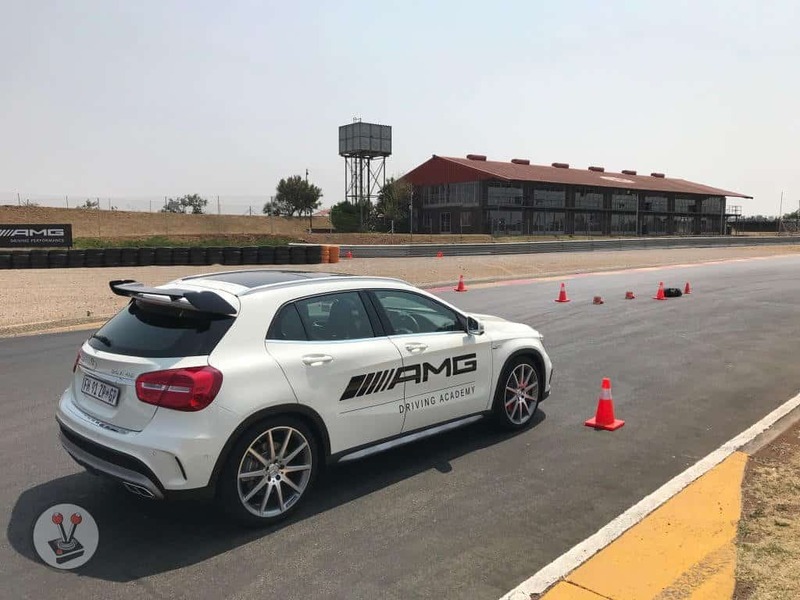 Thereafter Donovan Taylor, a senior driving instructor for Mercedes-Benz AMG, revealed that everyone in attendance would not only get to drive alongside seasoned trainers around the racetrack, but that we would actually also get the opportunity to drive the vehicles. That is right, we were all given the opportunity to race Mercedes-Benz AMG class vehicles around a legitimate racetrack. A veritable dream come true for many of us, myself included. 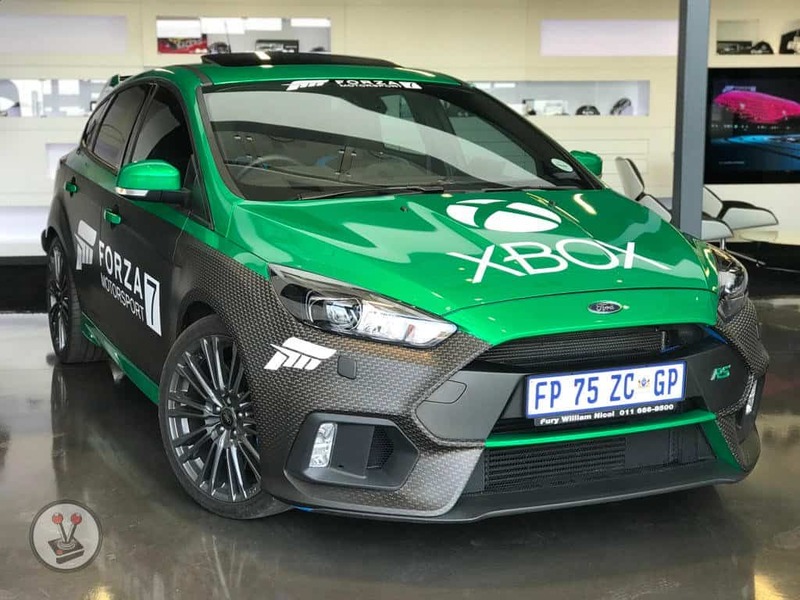 The day was split into four events: racing on the Zwartkops raceway, participating in a “heist/getaway”, going from 0 – 100 km/h on a drag strip, and testing out Forza 7 on the all-new Xbox One X in glorious 4K. I must say, being given the opportunity to actually race around a racetrack in some of Mercedes-Benz’ most powerful cars is an opportunity like no other. The pure exhilaration experienced from depressing an accelerator to its maximum, in a car that goes from 0 – 100km/h in 3.8 seconds, is orgasmic. It goes without saying, that my absolute favourite car of the day was the Mercedes-Benz AMG GT S – it was also the first car I got to drive (read: RACE). From the roar of the car’s V8 engine, through to its exceptional handling on the track; this car is, at its best, an experience. One that can be yours for a cool R2.2 million. I also drove the AMG A45 and AMG C63 S around the raceway at the Forza Motorsport 7 launch event. I was surprised at how much I actually preferred the A45 versus its bigger brother. I found the A45 to offer better handling, more akin to the GT S (this is obviously because of the car’s size). It even felt like it had more immediate power than the C63 S. This is despite the smaller car only sporting a supercharged 4-cylinder engine, versus the Bi-Turbo V8 in the C63 S. With that in mind, I am of the opinion that the A45 would serve as a fantastic pre-cursor to the GT S; and coming in at a third of the price, a bit of a no-brainer. One of the most interesting parts of the day was the “heist/getaway”. In a team of two, we had to grab a money bag, get into the car (seatbelt on), and then slalom through traffic cones, make a u-turn, slalom back, and stop in the imaginary garage. Driver and passenger would then swop roles, and do it all again. Hitting cones or missing marks resulted in time penalties. It was good fun, and certainly very different. Team Xbox had the quickest time at 1m:35s, whereas the Vamers Crew clocked in 2 minutes with penalties (my teammate missed cones). The last event with the vehicles was the drag-race. Staying in the same team of two from the heist, we all had the opportunity to drag-race each of the different cars. Naturally, the most fun was in the Mercedes-Benz AMG GT S. Having said that, my teammate managed to persuade the referee to show us how to enable ‘launch control’ on the AMG A45. The whiplash that resulted from launching it correctly was outstanding, and has placed the little car at the top of my Wishlist. 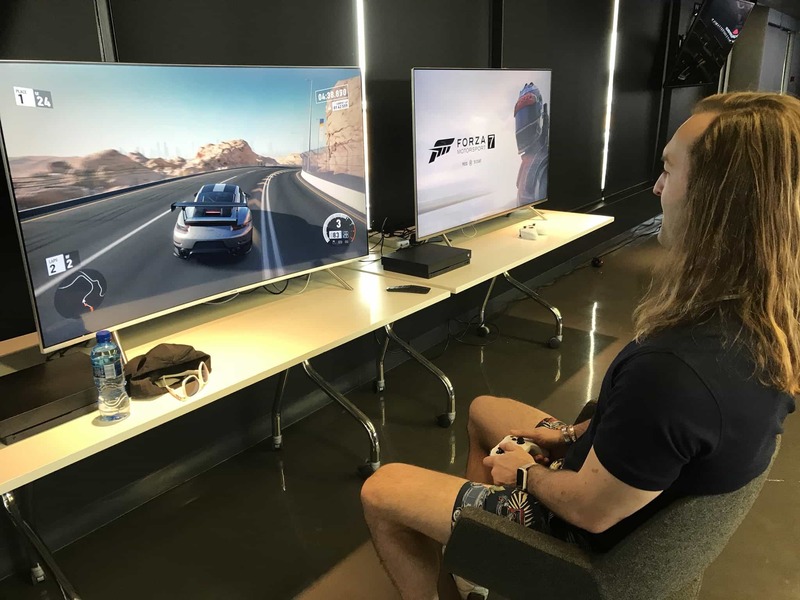 The final part of the Forza Motorsport 7 launch event was focussed on the game, the reason why we were all at the raceway in the first place. 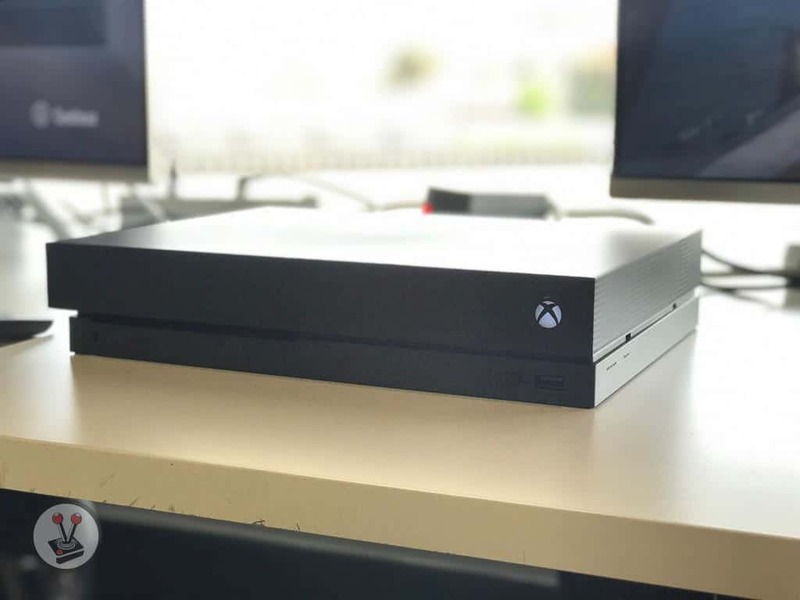 As another surprise, it was revealed that Microsoft South Africa brought in two Xbox One X consoles, each loaded with the demo of Forza 7. As such, I was able to play the game in glorious 4K with High Dynamic Range (HDR) at a full 60 frames per second. The result was impressive, and has me hankering for my Xbox One X to arrive (still no word on a local price or launch date). From the smooth frame rate, to the eye popping textures (seriously, the textures were outstanding), it was a great first taste of what Microsoft’s newest console is capable of. The Forza Motorsport 7 launch event was an incredible amount of fun, and I am very grateful to have been a part of it. I would like to offer my sincerest thanks to Xbox South Africa and Mercedes-Benz AMG for a truly unforgettable day. It was immensely appreciated. Forza Motorsport 7 releases exclusively for Xbox One consoles from the 3rd of October 2017.